Visual Lure was recently contracted to design an ad for SongFreedom.com, a St. Louis, MO based music company that provides usage rights to popular music for photographers and videographers. It provides these artist a legal and cost-effective way to use popular music in their slideshows, videos, and on their websites. 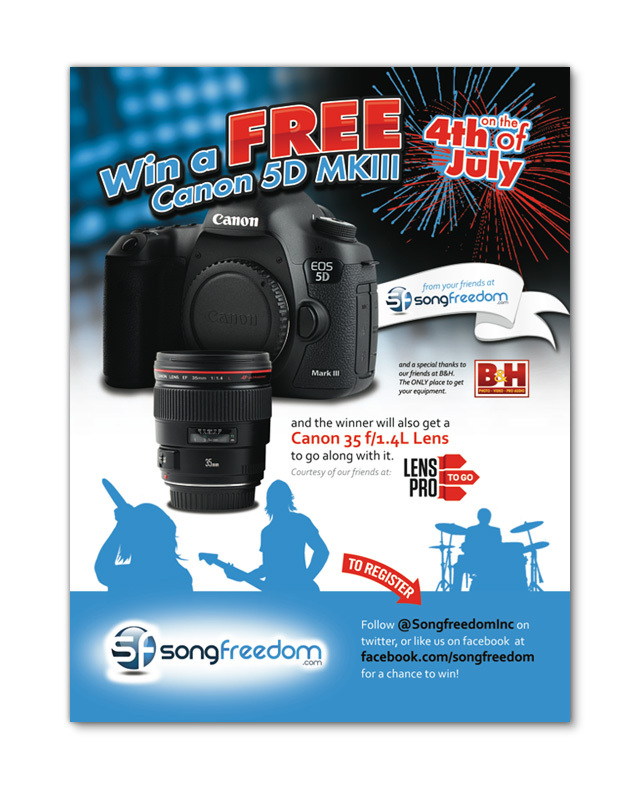 Follow them on twitter @SongfreedomInc or like them on facebook at facebook.com/songfreedom.